Off the Hook Astronomy: This is an ex sweater! 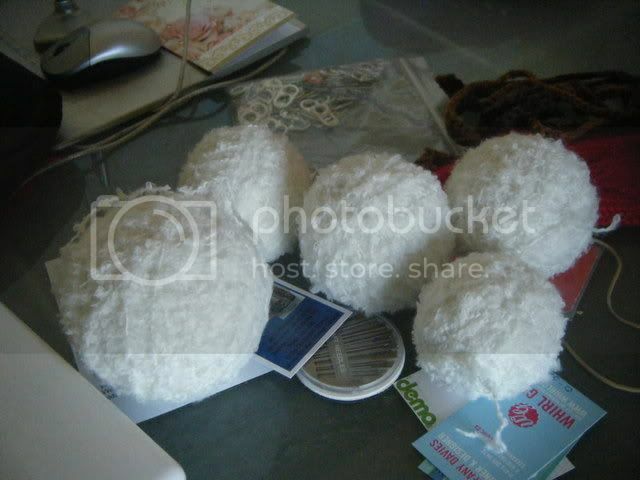 It's sad and cathartic when you have to rip apart a sweater... and this weekend, I ripped apart two! There was the previously-mentioned off-the-shoulder top, but also that Candy Apple shrug (Lion Brand pattern, which you need an account for) I'd been working on forever. The former came apart depressingly easily, and for some reason, I thought it would be cool to see if I could wind it into a giant ball. 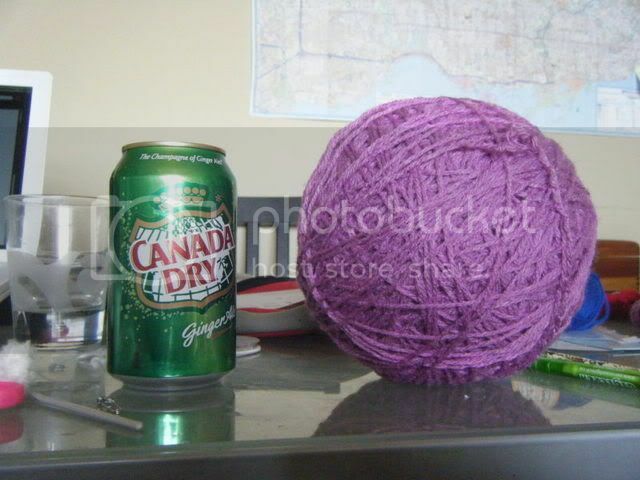 So, folks, this is one crocheted sweater's worth of yarn, next to a pop can for size comparison. It's totally huge and unmanageable. Notice those can tabs in the background? I got inspired by this blog and will be attempting some can tabistry in the future.